Craig Wiroll can’t wait to begin his internship with the Save Elephant Foundation at Elephant Nature Park in Chaing Mai, Thailand. Wiroll was awarded a $6,000 Freeman Fellowship grant by the UO Center for Asian and Pacific Studies to help cover expenses related to the internship. The University of Oregon Center for Asian and Pacific Studies administers the Freeman Internship Fellowship, which provides a stipend for a handful of undergraduate or graduate internships in East or Southeast Asia each year. Wiroll found the Save Elephant Foundation internship through International Education, Experience, and Employment, an organization that offers international internship opportunities to students. A popular destination for ecotourists, Elephant Nature Park rehabilitates elephants that have been abused for commercial purposes, whether as street performers, transportation or hauling trucks. Although Wiroll has worked with public and nonprofit organizations domestically, “this experience will let me gain knowledge of international nonprofit administration first-hand and allow me to be more knowledgeable about how to work and interact with international agencies — and perhaps even lead to future employment opportunities abroad,” he said. Wiroll earned his bachelor of arts in journalism from the University of Wisconsin at Milwaukee in 2010 and moved to Corvallis a few weeks later. He served as an AmeriCorps Volunteer in Service to America and also served a year in AmeriCorps National Civilian Community Corps throughout the Pacific region of the U.S.
“Once I learned about (AmeriCorps) — where I could do service work full time, plus get a stipend for school while also traveling to new and exciting places while meeting cool new people — I said, ‘Sign me up!’” he said. 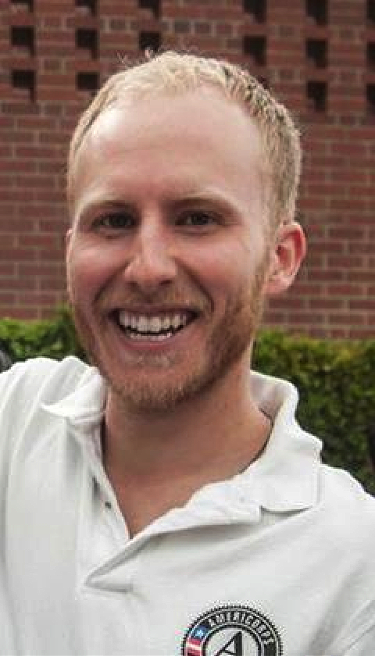 Today, he serves as a board member with Food For Lane County and cofounded Just Food UO, a campus food group advocating for food justice, sustainable production and security. Dyana Mason, an assistant professor in PPPM, taught Wiroll in a Public Sector Theory course and will help him draft an independent study prospectus before he leaves for the internship. “When students have an opportunity to do things like this, it can only broaden their perspectives about their personal path and their personal interest. I would encourage all students to pursue opportunities like this if they’re interested in serving communities abroad,” Mason said.